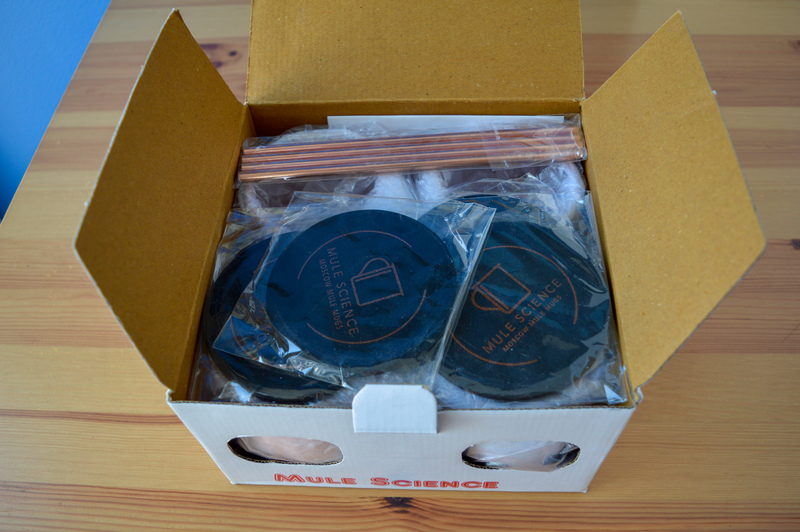 Advanced Mixology gave me the Moscow Mule mugs kit to try. See my Terms & Conditions for more information. 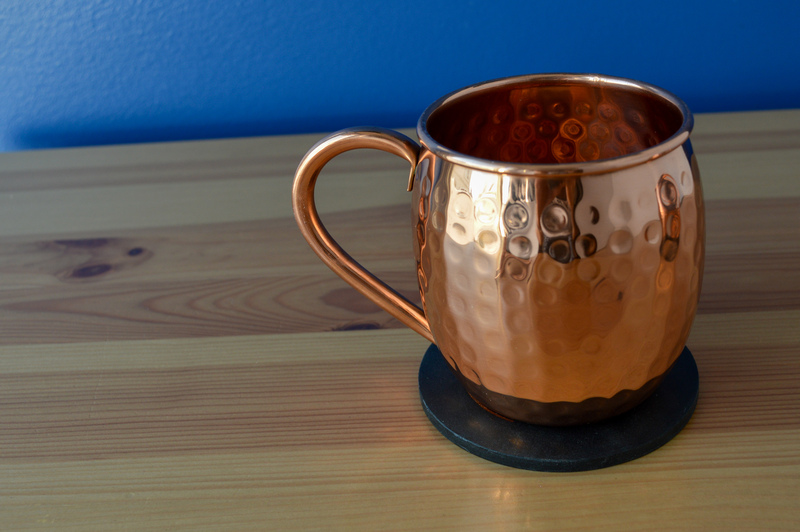 There is something really satisfying about a Moscow Mule. It’s often thought of as a summer drink, sipped around a campfire, but I like to drink it in Autumn. 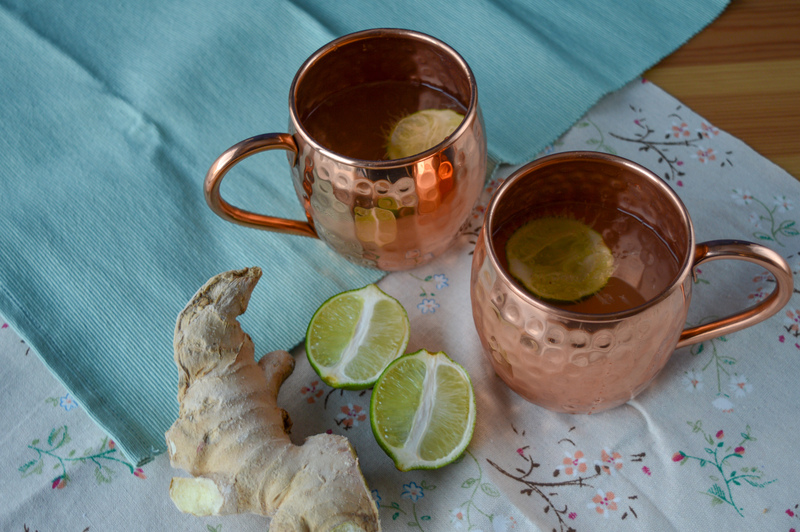 The spice of the ginger and the warmth of the vodka is so comforting on a cold Autumn day, with the leaves swirling around outside. 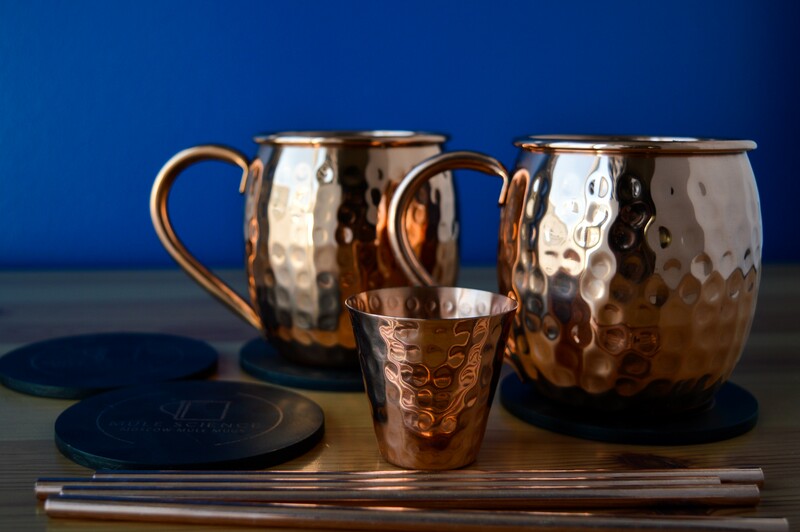 Even the copper Moscow Mule mugs seem to mimic the colours of the season. On October 27, Josh and I celebrated 11 years together! 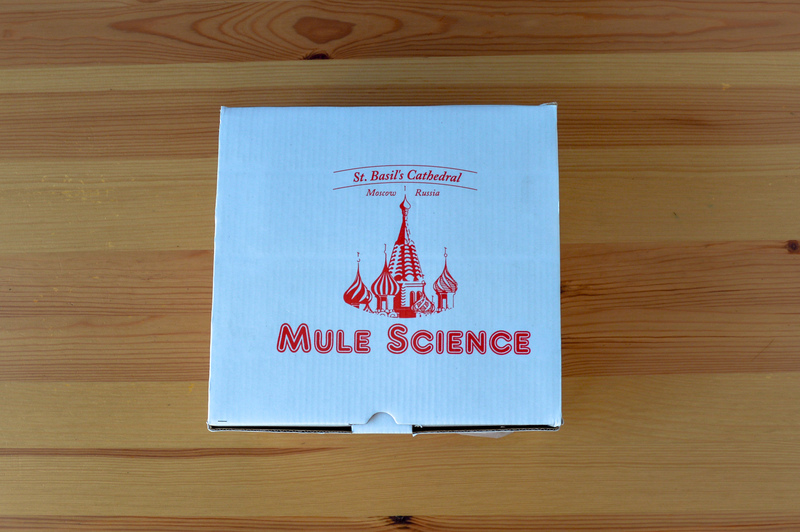 Our celebration was delayed until this past weekend because of hockey. Our actual “met-iversary” was spent cheering on Isabella at ice rinks- which of course, we were very proud to do. It did mean a delay, though. 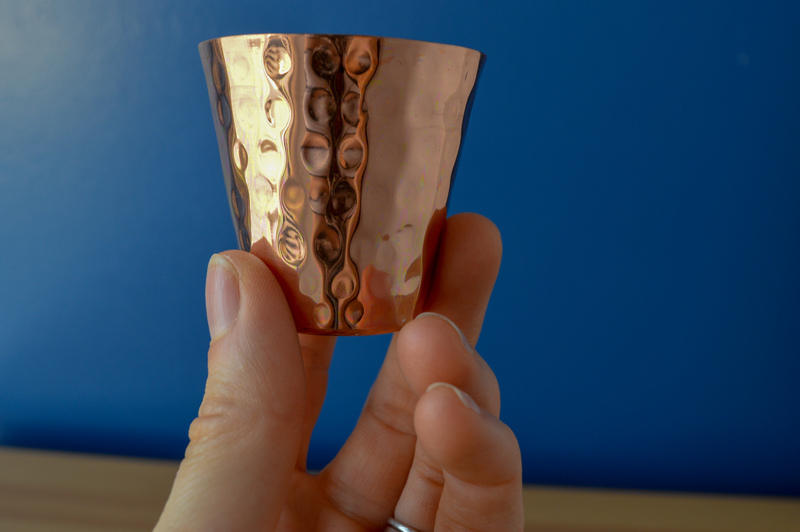 And I am glad we did, because this weekend we had another reason to cheers! I am so proud of Josh. He has been killing it at work and growing as an employee and a person. For those that don’t know, he is a “computer nerd” as a Technical Account Executive. This week he had a work review and was rewarded for his good work! My husband got a raise and I am so excited for him. I think it validates his hard work. 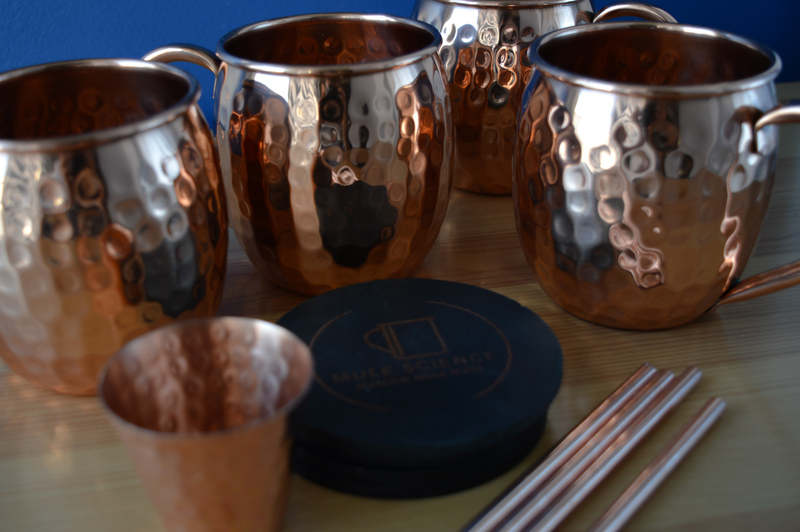 Obviously, we were very excited to use our brand new Advanced Mixology Moscow Mule mugs to cheers these great happenings! 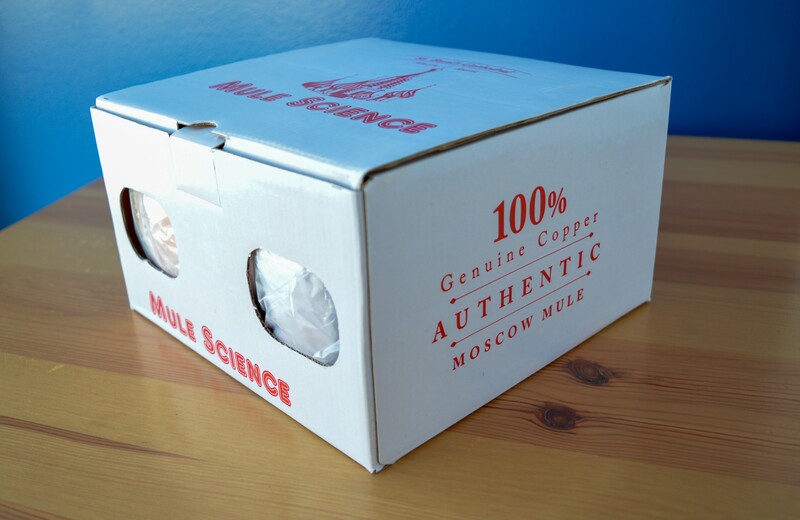 I gasped when I opened the box and took in all the shiny beautiful inside. 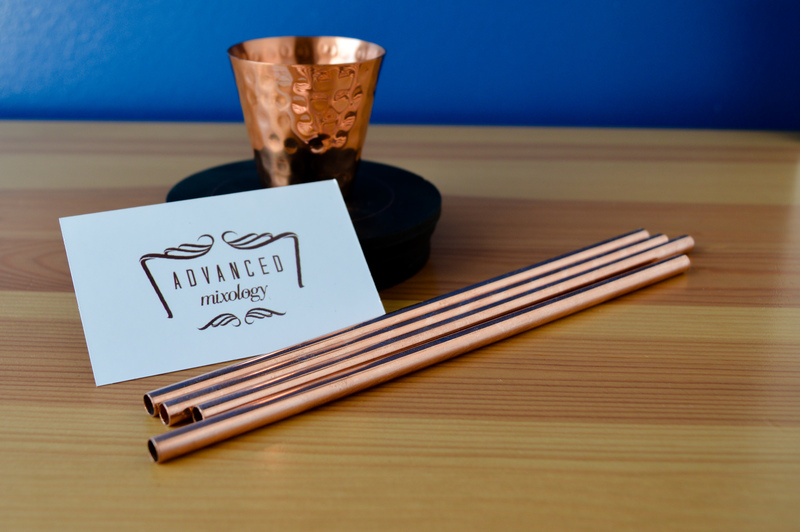 The Advanced Mixology kit came with everything we needed, including reusable copper straws and a copper shot glass. I took an audible breath when I saw how pretty they are. I am currently trying to figure out where I can put them in my kitchen, other than shoving them into the cupboard. I think they’re too beautiful to be hidden away. 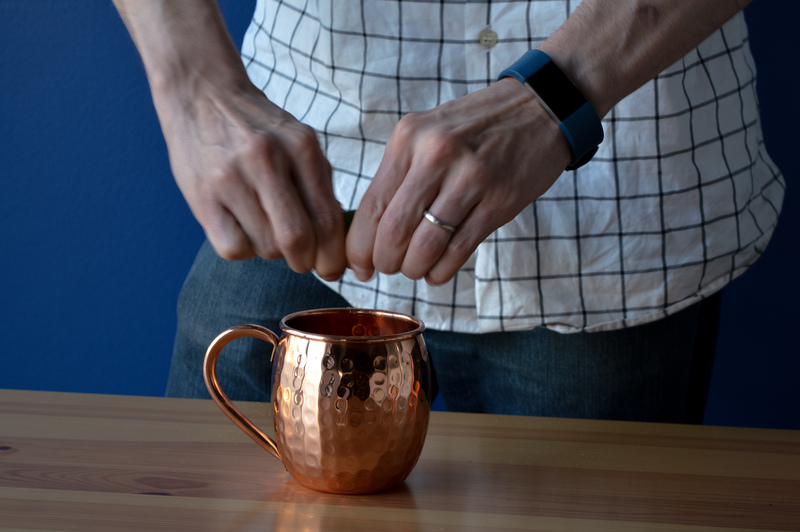 A Moscow Mule is one of the simplest drinks you can put together. 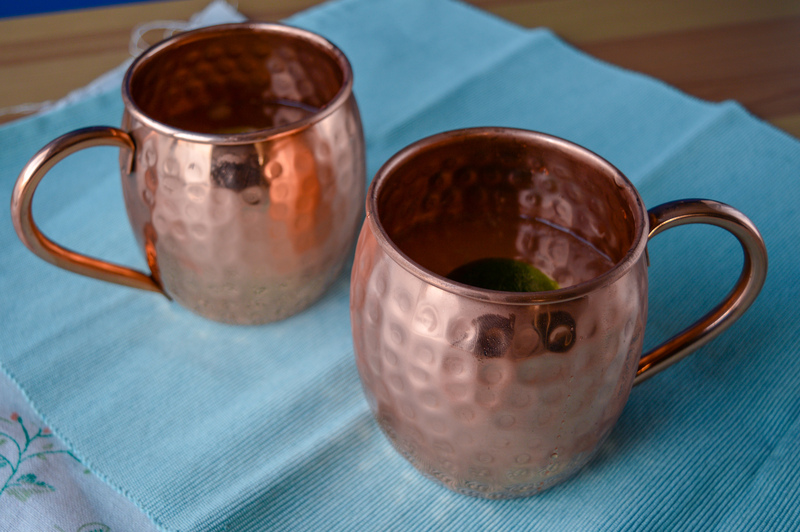 It only takes three ingredients and a shot glass, plus, authentic Moscow Mule mugs so that the tastes meld together beautifully. 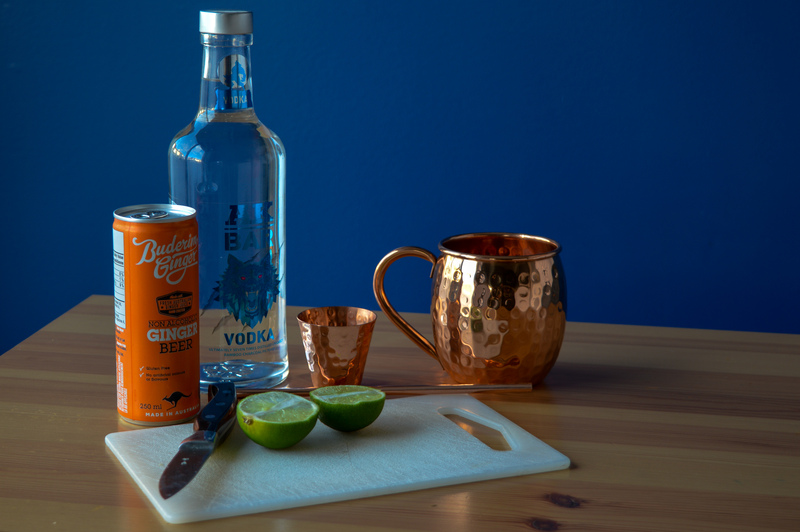 The Advanced Mixology kit comes with a classic Moscow Mule recipe, easy to follow. Gorgeous mugs at the ready. 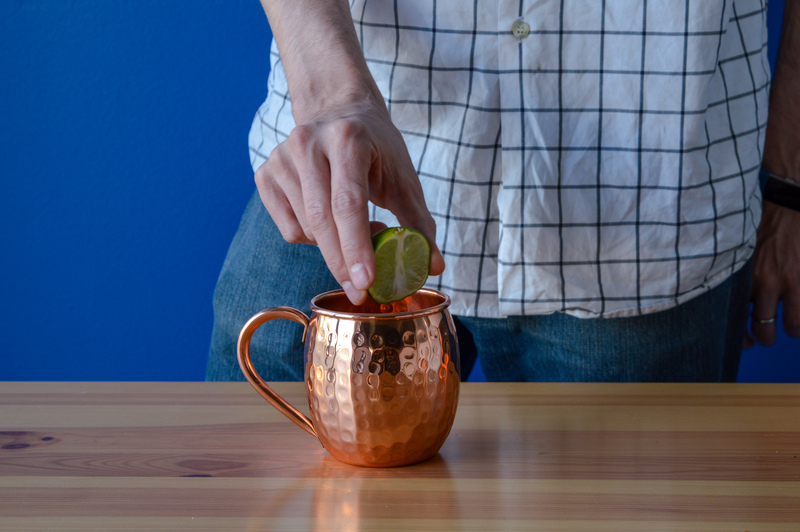 You want a really fresh, ripe lime to squeeze into the glass and muddle a little bit. That gives it that bright tang of flavour! 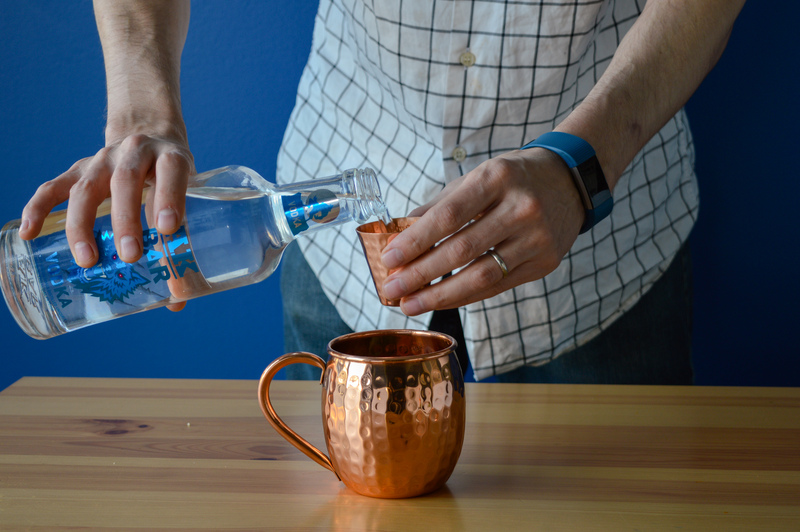 Next, you add the shot of vodka (or two). You can use any brand that is your favourite, although I would splurge and get higher end, as there are so few ingredients in this drink. The best part is next (in my ginger-addicted opinion)- the zingy ginger beer! If you’re gluten-free, like me, you have to be careful to read the ingredients, as not all brands are. Yum! 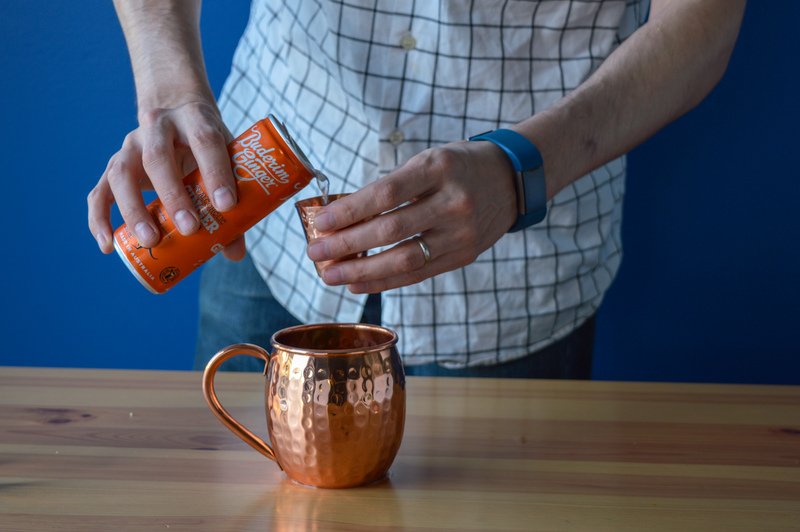 I can smell the ginger mixing with the vodka as he pours. 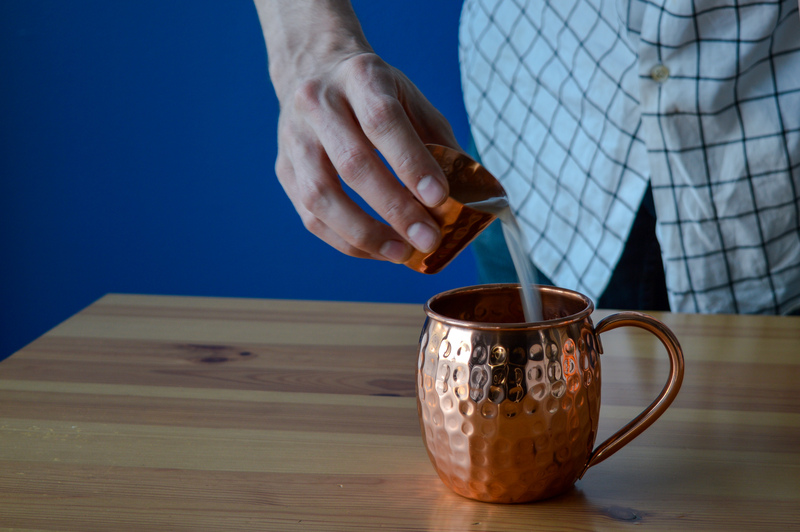 Stir, with one of the reusable copper straws, and enjoy! 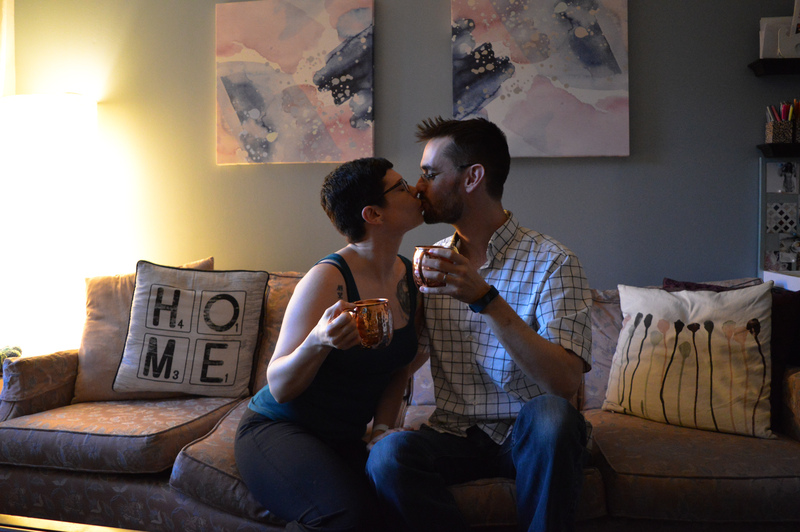 Josh and I took our delicious drinks to the living room to enjoy, feeling very grateful for the amazing year we’ve had. I can’t believe it’s been 11 years with this wonderful person. I’m so lucky to have him as a partner- and bartender, haha! 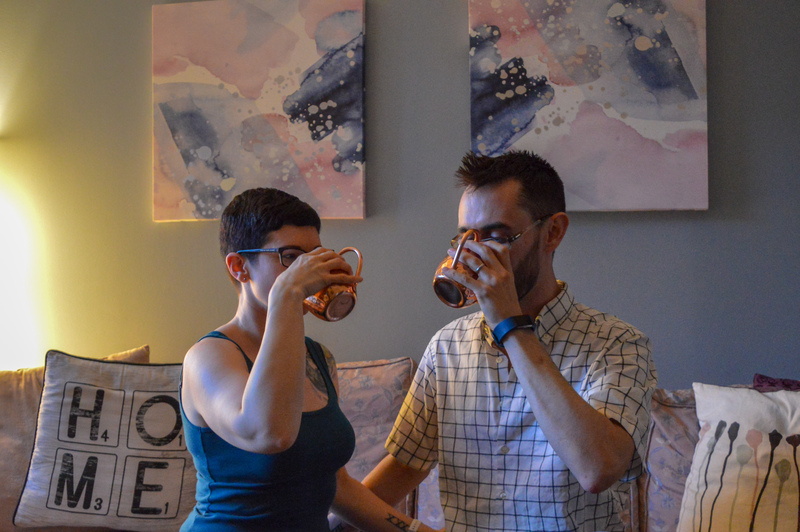 The drinks made our evening feel special and we enjoyed our date night at home. 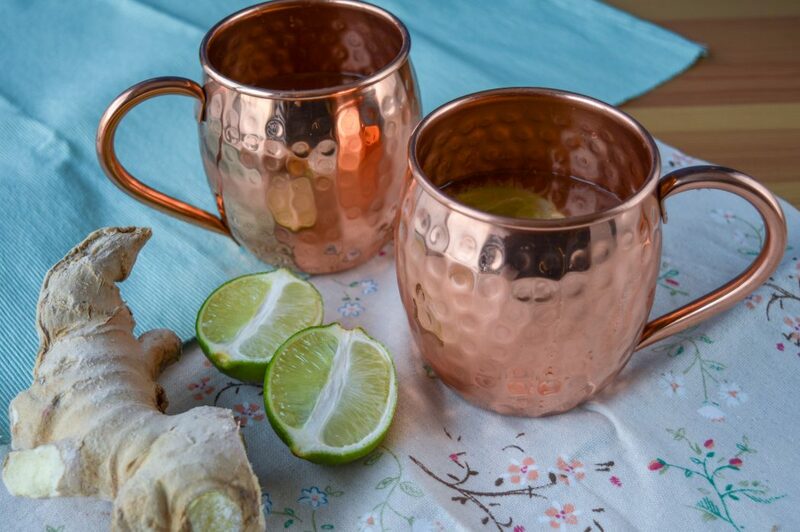 This gorgeous set of Moscow Mule mugs will be used time and time again, classing up my kitchen for years to come. I also love the simple cleaning instructions that came with them! Thank you for the wonderful anniversary surprise, Advanced Mixology.